The Moscow City Ballet was founded in 1988 by the distinguished Russian choreographer Victor Smirnov-Golovanov, with the aim to promote the original ideas of the great 19th and 20th century Russian choreographers. The birth of the company was a direct outcome of the sweeping changes in the Soviet Union in the late 1980s, where “Glastnost” and “Perestroyka” made the private enterprise legal again and Moscow City Ballet was the first privately owned ballet company in the USSR. It’s original name “The New Ballet of Moscow” was deemed too descriptive and the new name, “The Moscow City Ballet” was adopted in 1990. The company remains true to its original ideals, showcasing some of the greatest works of the Russian and Soviet ballet heritage. Its new aim is to preserve the legacy of late Victor Smirnov-Golovanov’s original choreography, with the ballets such as The Nutcracker, Cinderella and Romeo and Juliet having been exclusively choreographed by Victor for the Moscow City Ballet. The company’s first appearance was in 1989 in Seoul, Korea. Its success outside of Russia makes it one of Russia’s most extensively touring ballet companies. Since 1988, Moscow City Ballet has appeared in Belgium, Brazil, Bulgaria, Cyprus, Czech Republic, Denmark, Egypt, Estonia, Germany, Hong-Kong, Hungary, Ireland, Israel, Italy, Japan, Jersey, Latvia, Lithuania, Luxemburg, Netherlands, People’s Republic of China, Philippines, Poland, Portugal, Republic Korea, R.O.C. Taiwan, Romania, Serbia, Singapore, Slovakia, Spain, United Arab Emirates, United Kingdom, United States of America and, naturally, in Russia itself. The company’s greatest success has been in the United Kingdom where it has given more than 1000 performances since 1991, accompanied by the Moscow City Ballet Orchestra. Considering classical ballet to be an important part of the national heritage of Russia, Moscow City Ballet aims to bring it to as wide a public as possible, especially the new generation of ballet-going youngsters. Smirnov-Golovanov’s own productions, as well as previous versions of the classical ballets, all share a clearly-defined style, ideas, and choreographic integrity, setting high-performance standards. The company is renowned for the perfection of its corps de ballet in the best traditions of the Russian school of classical ballet. The company’s unique style is ensured by the dedicated efforts, both in production and rehearsal, of its artistic director, Ludmila Nerubashenko. Victor Viktorovich Smirnov was born on 6th September 1934 into the family of Director and Screenwriter Viktor Fyodorovich Smirnov, an accomplished author of a libretto for several ballets, including “Bolt” (music by D. Shostakovich). In 1946 his father was falsely accused and imprisoned in one of Stalin’s purges and sadly passed of cancer shortly after. From age twelve, Victor was raised by his mother, Ekaterina Efimovna Smirnova, her maiden name was Golovanova. She often recited a quote by Marie Curie to her son “First principle: never let oneself be beaten down by people, or events.” Victor applied this motto throughout his life and, in honor of his mother, in 1964 the young choreographer took the pseudonym Smirnov-Golovanov. After graduating from the Bolshoi Ballet School (class of N.I. Tarasov) in 1953, Victor Smirnov joined the State Academic Bolshoi Theater of the USSR. The energetic, up-and-coming dancer participated in the productions of some of the greatest Soviet choreographers, such as Leonid Lavrovsky, Kasyan Goleizovsky and Yuri Grigorovich. Whilst working at the Bolshoi, Victor began to take his first steps towards the creation, interpretation and direction of his own productions. Fast forward to 1968 – a remarkable year for the Soviet television and for Victor Smirnov-Golovanov. His first TV-Ballet “Romeo and Juliet” (music by PA. Tchaikovsky) created in collaboration with his second wife, the ballerina of the Bolshoi Theatre, Natalia Ryzhenko, saw its first screening. Two years later, they choreographed and directed the “Naughty Limericks” (music by R.K. Shchedrin) and “Trapeze” (music by S.S. Prokofiev). Film and art critics admitted that the innovative approach towards choreography and methods in filming ballet pioneered by V. Smirnov-Golovanov and N. Ryzhenko created a new genre of art – the TV-Ballet. From 1968 to 1972, they filmed six TV-Ballet productions in total. In 1971, together with Maya Plisetskaya, the famous ballerina of Bolshoi Theatre, set about the invention of the original ballet “Anna Karenina” (music by R.K. Shchedrin). The historic premiere took place on the 10th June 1972 at the Bolshoi Theater. In later years, Victor Smirnov-Golovanov also staged “Anna Karenina” in Novosibirsk, Vilnius, Kiev and Tashkent. 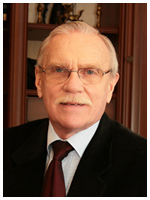 In 1976, Victor Smirnov-Golovanov became the chief choreographer of the Odessa Opera and Ballet Theatre. He renewed theatre’s classical repertoire: Swan Lake, Giselle, Don Quixote, Sleeping Beauty. In 1981 Mr Smirnov-Golovanov received the honorary title of The Distinguished Worker of Arts of the Ukrainian SSR. The debut staging of the ballet “Masquerade” (music by A. Khachaturian, adaptation by E. Oganesyan), was a historic event in the ballet community. The choreographers, Victor Smirnov-Golovanov and Natalia Ryzhenko came up with an absolutely unique choreography and original direction. The design of the sets and costumes was done by the distinguished Soviet and Russian artist, Ilya Glazunov. The premiere performance took place in April 1982. In May 1988 Mr Smirnov-Golovanov left the post of the chief choreographer of the Odessa Theatre. His final farewell to the spectators in Odessa was another original and grandiose production – “War and Peace” (music by V. Ovchinnikov). In November 1988, Victor, together with his third wife, Lyudmila Nerubaschenko, founded the first privately owned ballet company in the USSR, the Moscow City Ballet. Victor Victorovich assumed the position of the artistic director and the chief choreographer of the troupe. During 26 years at the helm of the ballet company, he presented to the world public new adaptations of all the major Russian classical ballets, touring with his company as far East as Japan and the Philippines and as far west as USA and Brazil. In 2004, Victor Smirnov-Golovanov presented his own version of the famous ballet by S.S. Prokofiev “Romeo and Juliet” with his original staging and choreography. This, one of the most popular ballets of the twentieth century, was the last large-scale and brilliant work of the choreographer. The distinguished Soviet and Russian choreographer, theatre and film director Victor Smirnov-Golovanov, passed away on 22nd April 2013, in Moscow. He left a rich and comprehensive legacy in film and theatre. His productions still run in many theatres around the world. His ballet company, Moscow City Ballet, under the leadership of Lyudmila Nerubaschenko, proudly continues Victor’s mission into the future.